Hey Folks! We shared a teaser yesterday and we know you might be curious what the contest is all about? We are here today with a hatke contest which will help you discover a healthier you. 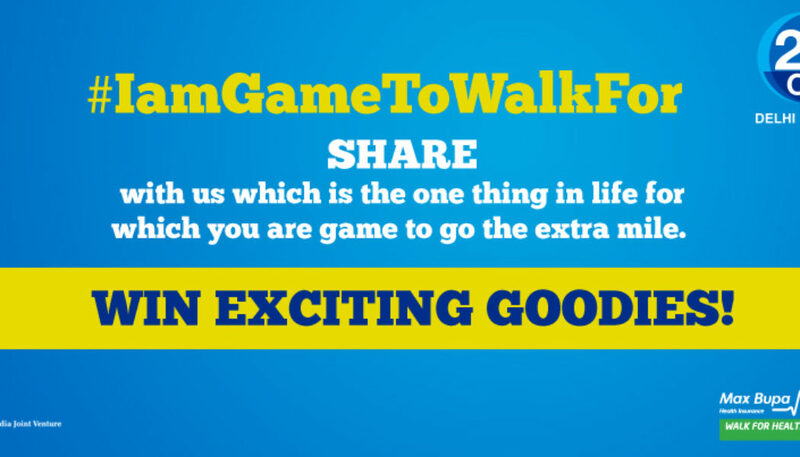 So share with us your wacky answers on which is the one thing in life for which you are ready to go that extra mile in the form below since walking is one of the easiest forms of exercises. Like and share the contest to spread the word about the contest and this initiative. Don’t forget to thank our friends at Max Bupa and do join their Walk For Health initiative in Delhi and Mumbai on 20th October 2013.